Parisian architects Irina Cristea and Grégoire Zündel of Atelier Zündel Cristea (AZC) are all about peace, love, and happiness. Last fall the architects conceived an inflatable trampoline bridge over the Seine which I loved, but unlikely to become a reality. 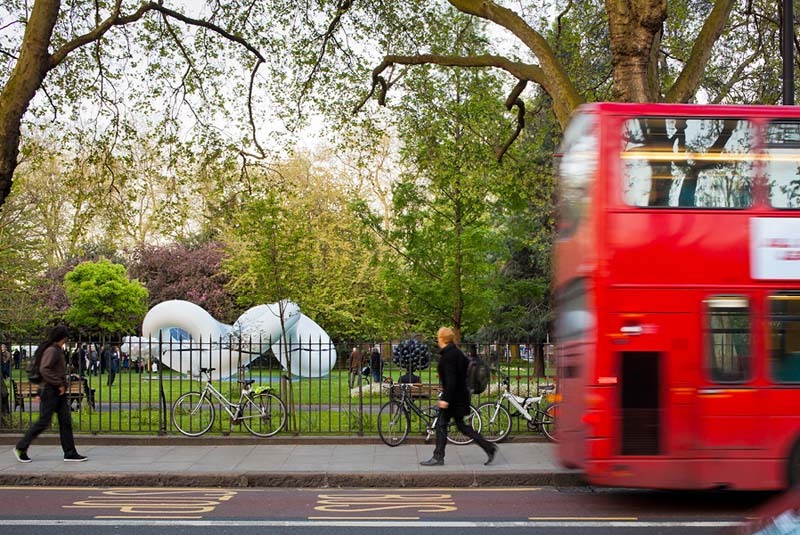 Their latest structure the Peace Pavilion, temporarily exhibited last month in the Bethnal Green Museum Gardens, uses a similar concept and materials creating a realized sculptural work that can be entered or climbed. The beauty of the shape of this inflatable sculpture lies in its perfect symmetry and fluidity. The geometry of the pavilion blurs the notion of inside and outside. 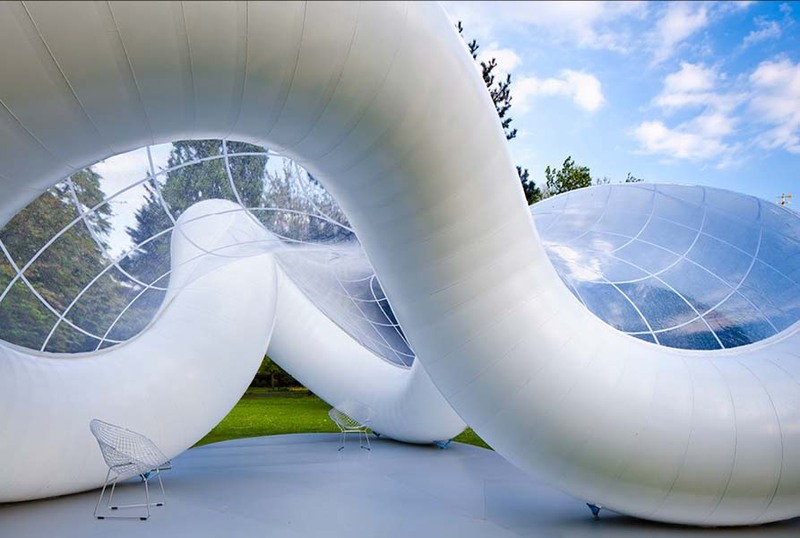 The project is a self-supporting structure with 4m in height and 20m² in area, designed entirely with lightweight materials – 77.96m² of PVC membrane and 20m3 of air.